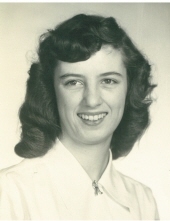 Nancy O. Denithorne, 84, of Downingtown died Friday, March 29, 2019 at Villas at St. Martha Manor, Downingtown. Born in Coatesville, she was the daughter of the late Richard O’Neill and Kathryn Southern Jenkins. She was a member of St. Joseph Church, Downingtown and a member of the former St. Cecilia Church, Coatesville. Nancy was a 1952 graduate of S. Horace Scott High School. Nancy is survived by many her nieces and nephews Denise Gibbons, Erin Johnson, Dennis O’Neill, Rosanne Boylan, John O’Neill, Joanne Cristman, Judy Spencer, and James O’Neill and her cousins. In addition to her parents, she was predeceased by her brother Richard O’Neill and sister, Dolores Wortley. Nancy’s funeral mass will be celebrated 10am at St. Joseph Church 332 Manor Avenue, Downingtown Thursday, April 4, 2019 Visitation will begin at 9am. Memorials in Nancy’s honor may be made to Compassus Hospice 2 Campus Blvd, Suite 200, Newtown Square, PA 19073 or Brandywine Valley SPCA 1212 Phoenixville Pike, West Chester, PA 19380 or to St. Joseph Church 332 Manor Avenue, Downingtown, PA 19335. To send flowers or a remembrance gift to the family of Nancy O'Neill Denithorne, please visit our Tribute Store. "Email Address" would like to share the life celebration of Nancy O'Neill Denithorne. Click on the "link" to go to share a favorite memory or leave a condolence message for the family.